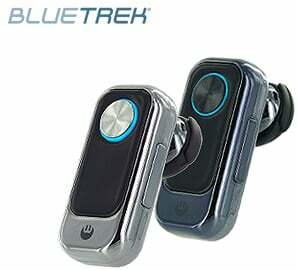 The BlueTrek Mini Bluetooth Headset is available in two flavors, "Chrome" and "Gun Metal", and can be purchased at the iMore Store for $59.95 here. There are a ton of different bluetooth headsets to choose from for your iPhone, so when you have such a wealth of choices and different prices, how does the BlueTrek Mini compare? I've been using the "Gun Metal" headset and let me tell you what I think after the break. In all fairness, I should start with the disclaimer that I'm a very picky bluetooth headset person and am hard to please. I don't wear them very often, and when I do, it should be comfortable and it should perform. 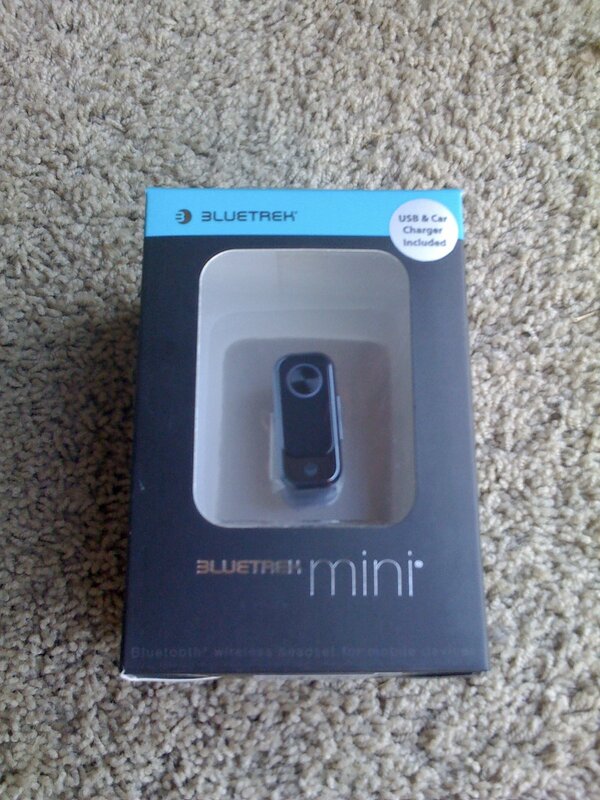 At a fairly reasonable price of $59.95, the BlueTrek Mini comes with a lot of extras. Along with the bluetooth headset, you also receive the standard charger, a car charger, a lanyard that attaches to the headset so you can conveniently hang it around your neck when not in use, two ear clips, and three different sizes of rubber ear buds. Also, a USB charger is included - very handy when you're at your desk, working away, and still charging your headset via USB at the same time. The BlueTrek Mini is impressive in it's size and weight, or lack thereof. It weighs only .35 ounces and measures .75" wide, 1.60" long, and .50" deep. A round button is on the outside for answering and ending calls, as well as powering the headset off and on. A charging receptacle is located on the back, and a discreet volume rocker switch is placed along the side. This headset boasts up to 7 hours of talk time and 10 days of standby time - quite impressive for such a small size. The provided lanyard and plastic ear hooks are well-intended, but unfortunately fall short of the bar set by the design of the earphone itself. Once I fit the headset with the size of rubber earbud that fit snugly in my ear, I quickly paired the BlueTrek Mini to my iPhone and am glad to report that it's easy to do. Once paired, I used it to make and receive several calls, listened to voicemail, and then used it for phone calls on my drive home. The sound quality is loud and clear on my end and the people on the other end had no complaints. The BlueTrek Mini allows call redial, call rejection and call waiting with a press of the side button. It supports voice recognition, muting, and has a dual-color LED display. Bluetooth version is 1.2 and, as I mentioned, is easy pairing and I noticed hardly any lag when connecting with my iPhone. The issues I had with this headset have nothing to do with the sound quality or functionality, but much more to do with the uselessness of the lanyard and the poor quality of the ear hooks. The lanyard line itself is fine, but the metal ring at the end that attaches to the earpiece of the headset is surprisingly heavy for such a light headset. I found that the hefty metal ring kept pulling my headset loose and right out of my ear, so for me, it was pointless to wear it. Another problem is the provided ear hooks. I can understand why there are two of them in the box. They seem to be not much more durable than uncooked spaghetti. As a sign of things to come, one of the ear hooks was broken in the box. The second one lasted one day. They are so flimsy and brittle that it was pointless to include them. Perhaps the lanyard would make more sense if the headset had an adequate ear hook to keep the headset in place. 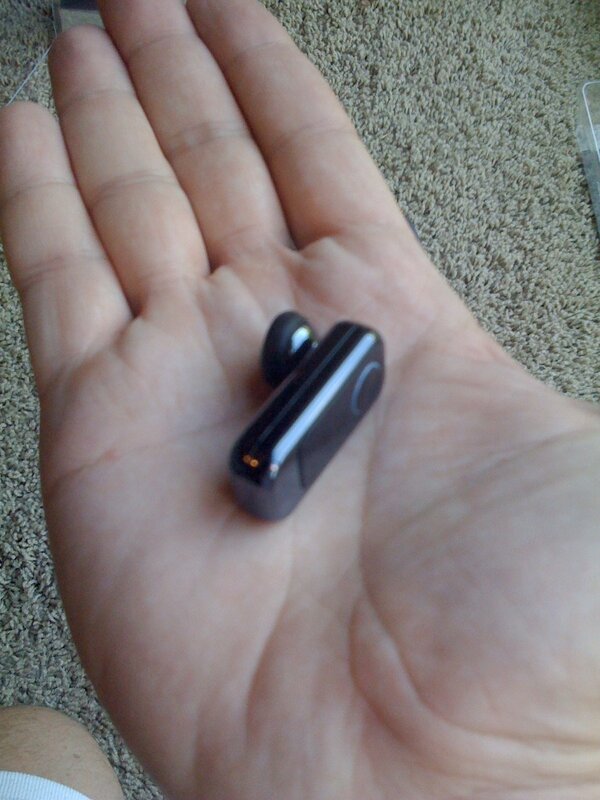 The BlueTrek Mini is a decent headset - very light, good battery life, and seems to have adequate sound quality. The price is reasonable, but is less impressive when the lanyard and ear hooks are practically useless. The car charger and USB charger are nice additions, and most likely you will find that one of the included rubber earbuds will fit snugly in your ear. If you can handle using just the headset itself sans ear hooks and lanyard, then you may be satisfied with the BlueTrek Mini. If not, you may want to keep looking. Decent sound quality, easy to pair and use. 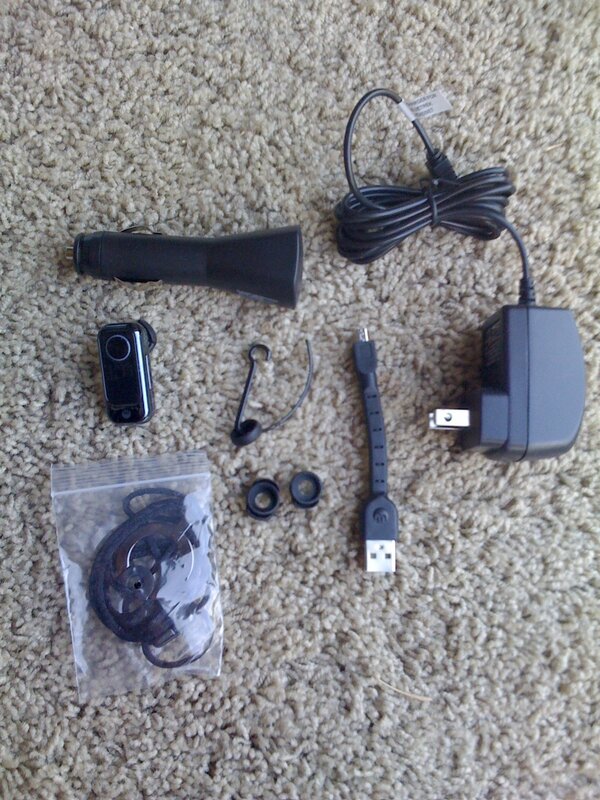 Lots of extras, like car charger and USB charger. Metal ring on lanyard is too heavy, pulling this lightweight out of your ear. Ear hooks are cheap, brittle, and break; box should have included 100 of 'em.